7th November 2013 - Don't Panic - The Truth About Population aired on BBC2 (UK). The highlights are on the short video to the right hand side. The full one hour is available on the blue tab to the right via the GapMinder website. Hans Rosling (born 27 July 1948) is a Swedish medical doctor, academic, statistician and public speaker. He is Professor of International Health at Karolinska Institute and co-founder and chairman of the Gapminder Foundation. We often use this application to visualise population & development data in iGCSE & IB Geography classes. He is a bit of a Geography legend and influences politicians, teachers and students all around the world. Check out his Twitter feed to the right hand side to see the sorts of things that he tweets about on a normal day in 'Hans World'. Activities - You will need access to the full one hour BBC2 documentary to complete the following activities. Starter - Take the Ignorance Test by clicking on the blue tab below. Scroll down to the 'Multiple Choice Question Box' below the photo of the monkey and complete the nice questions set out. How did you score? Underneath this, write out what your misconceptions were and the real truth according to Hans Rosling. Task 1 - Complete the worksheet below using the World Population Growth section of the documentary. full length video - don't panic! "No More Than Two Kids, One is Even Better"
Objective: To find out how a supposed LEDC has effectively dealt with its previously high and unsustainable fertility rates. What picture emerges? Does this fit with your preconceptions of the country? Task 2 - Start the Don't Panic documentary at approximately 5.30 and complete the worksheet beneath. The links to GapMinder are embedded on the worksheet and also on the blue tabs to the right hand side. Watch the sequence on school education and the Khan family chat about marriage and future job prospects. How is the provision of female education and falling fertility rates related? How have female aspirations changed in the video? Give two examples. Task 4 - How is this change linked to 'The Girl Effect' - a global movement to improve the status of girls around the world? You may want to watch the video to the right to see its key aims & objectives. One of the Millennium Development Goals (Goal 3) is to 'Promote Gender Equality and to Empower Women' - see poster above right. This should be considered in any work that you produce in relation to this video. Task 5 - Watch the sequence where Hanan is helping his parents to tend the family graveyard. 1. How many of Hanan's siblings died? 2. Do the parents think that this could have been prevented? 3. What was the percentage mortality rates for children back when Hanan's parents were young? 4. Why, therefore, did they have many children? Task 6 - What is the situation now in Bangladesh and why has child mortality decreased so dramatically? What did he mean? - Study the quote above that is taken from the video. What does Hans Rosling mean by this and can you give an example? "Families are in a happy balance today - two parents to two children"
Objective: To find out why, despite falling fertility rates, global population continues to grow (population momentum). 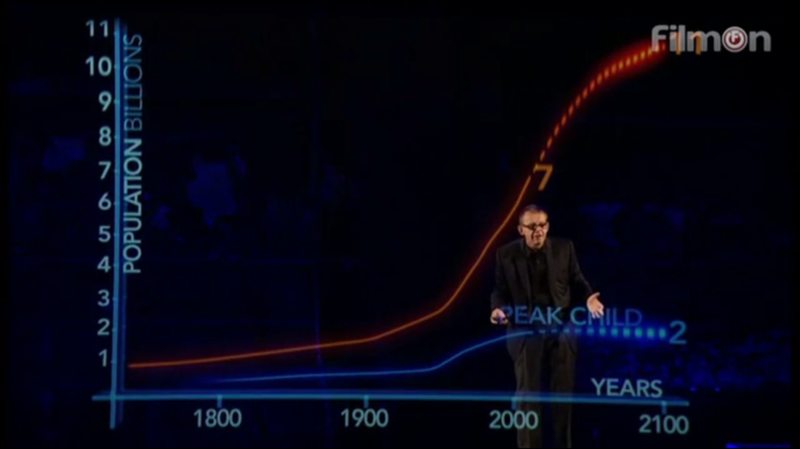 Watch the sequence from the video on what Hans Rosling calls Peak Child and the building blocks. a. What is Peak Child & When was it reached? b. Complete the worksheet on the blue tab below. Objective: To find out how population distribution and density will be affected by these changes. This task opens the door to lots of interpretation in and outside of the classroom. A recent example was of a joint subject piece of work between the maths department and the geography department at the International School of Toulouse. We used GapMinder data to create a live visualisation using students to show these changes. More information and the free cards and data sets can be found here by clicking on my colleague, Jim Noble's blog. How is population distribution likely to change between now and 2100? Make sure you make reference to areas that will experience large population gains and those that will see an overall population decline. Give percentage figures as part of your explanation. Knowledge Check - What does 1114 & 1145 represent? Check out this 2014 article discussing future population growth in Africa. A huge number of topics covered in the core IB unit in one article. Can africa survive such speedy growth? 1114 is the present PIN-code for the World: 1 billion people in The Americas, 1 in Europe, 1 in Africa & 4 billion people in Asia! Objective: To discover why population will increase in Mozambique so quickly and how the country will cope with all these extra people. Starter: Play with the map to the right hand side. Zoom in, zoom out and get familiar with the site and situation of Mozambique. Outline the general levels of healthcare improved in Mozambique since Hans Rosling worked there 30 years ago? Using the sequence of video filmed in Mozmbique and following the lives of Olivia, Andreas and their family, complete the worksheet below. Bicycles are one way of boosting economic growth in the poorest parts of the world. In the video to the right hand side, Hans Rosling demonstrates how the washing machine can also lead to economic development. Create a fact sheet detailing how this relatively old piece of technology can lead to improvements in literacy, employability and a reduction in gender inequalities. Watch the sequence from about 50 minutes onwards after the graph showing distribution of wealth. Task 12 - Outline the factors that lead Hans Rosling to believe that Africa can expect positive economic growth in the near future and the development of industries associated with this growth. Further information on the new MDG about to be set to end Extreme Poverty in the next 20 years. Task 13 - Study the tweet from Hans Rosling on 11 November 2011.
a. Which areas of the world were represented by the large 'camel hump' in 1973? b. Describe the changes world income distribution since 1973 using the sequence in the video to help. Objective: To look closely at the validity of claims and blames made by some countries in relation to climate change and greenhouse emissions. 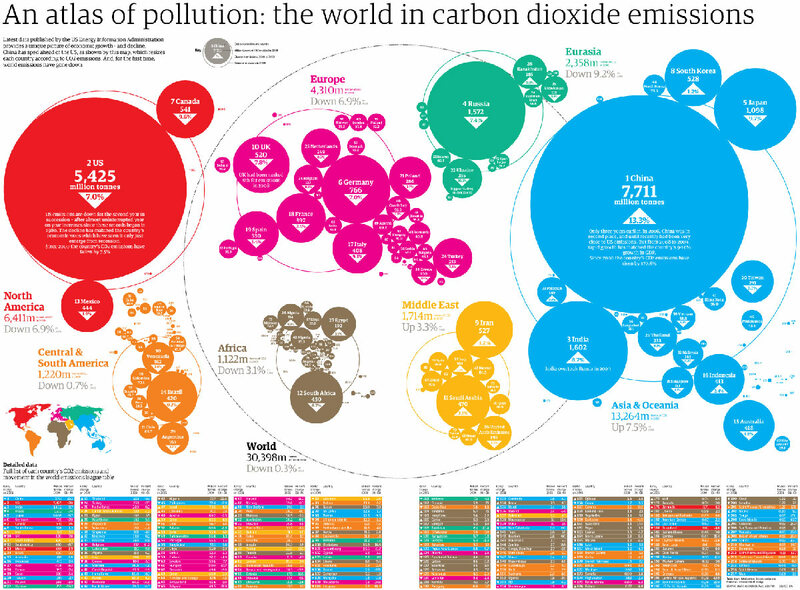 Watch the sequence of graphics at around 53 minutes on the documentary - Fossil fuel use and wealth. Task 14 - Watch the last sequence on the video. It will look like the image below. Complete the activity on the work sheet below. 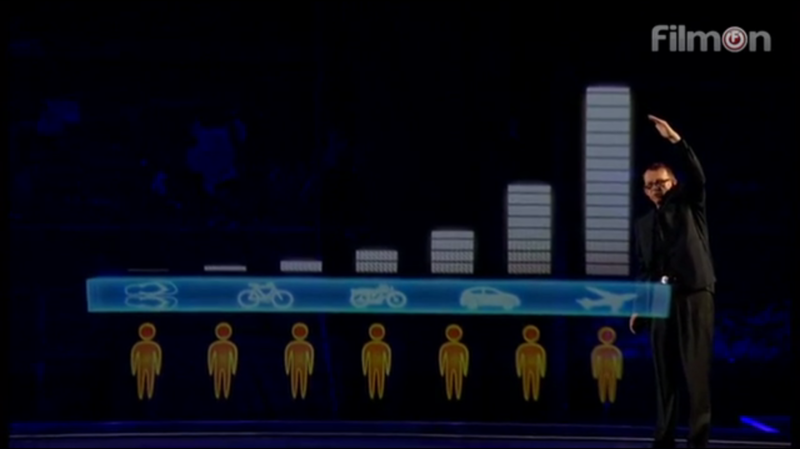 Watch the last sequence of the video where Hans Rosling is summing up. Task 15 - Do you share his opinion that the richest countries need to be setting an example for others to follow? To wrap it up - Looking down from our ladder! Write a report to a Geography text book publisher outlining some of the major misconceptions that people have regarding world development and the size of the development gap. Many texts use case studies and data that highlight the gap rather than showing effective ways of closing it. This therefore breeds false knowledge and understanding about global development amongst Geographers in the more wealthy parts of the world. Think about the ladder looking down on the rest of the world scenario on the video. 6. Stop blaming the so-called LEDC's - Show off good environmental practice instead. Don't forget to talk more widely about case study locations and link to the Millennium Development Goals too.